It is legal for members of Congress to employ their family members in their campaigns, but it is an ethical gray area. Individual donors and interest groups are permitted to give to reelection campaigns, but not to members personally. Employing one’s spouse or relative can serve as a way around this restriction. The practice is unfortunately common. Maybe it’s a recent, two-season binge of House of Cards talking, but this doesn’t bother me at all. Perhaps his wife is a great campaign manager worth every dime. Or perhaps in a field that trades in asymmetric information, like politics, trust is not to be underrated. I have great sympathy for putting someone in the top job that you’d already picked for a much more important life-appointment. Even a sure-thing campaign needs a campaign manager, and this candidate should have the freedom to make that whomever, and pay her whatever, he wants. Given the number of economic checks already in place to punish a bad choice,1 I’ll take liberty — even if it occasionally comes with a side of graft. In his 13 successful races for the seat, Gutiérrez has never received less than 75 percent of the vote. In 2016, unopposed, he received 100 percent. 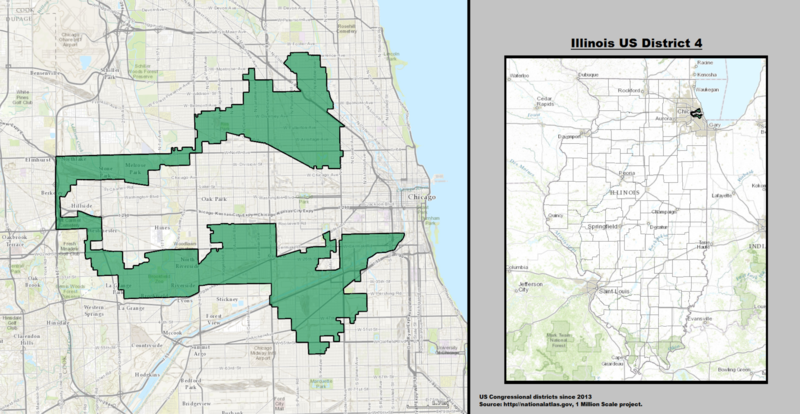 Illinois’s Fourth Congressional District, which Gutiérrez represents, is gerrymandered precisely to create a Latino majority. So refined are the district lines that its two halves are connected in one place only by I-294. The district is designed to be uncompetitive, so there’s no fear of losing a close election to provide an incentive to be scrupulous with campaign funds or to cast a wide net and find the best possible staff. It also means there’s no serious competitor to shed light on potentially dubious relationships or embarrass donors. Yes, the whole thing looks shady, but my anger’s not focused on the symptom, but the disease. The salary and position are disclosed, which has resulted in negative press. Campaign contributions are voluntary. If donors don’t like it, they can stop donating. If the person he picks is bad at the job, or even if they’re just overpaid, it’s a waste of cash and bad for the rest of the staff’s morale.